The question of the glorification of the Russian Athonite elder Tikhon (Golenkov), the spiritual father of St. Paisios the Athonite, was recently discussed at the Moscow Theological Academy at the Trinity-St. Sergius Lavra. The discussion occurred as part of the academy’s “Day of the Memory of Two Elders: St. Paisios the Athonite and Archimandrite Kirill (Pavlov),” in which the new book Athonite Elder Tikhon (Golenkov) (in Russian) was presented. 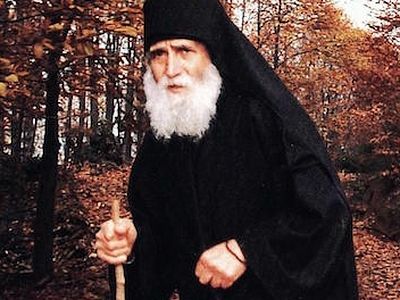 The hope was expressed that the Church would support the glorification of this great twentieth-century elder, reports a correspondent of the site Russian Athos. 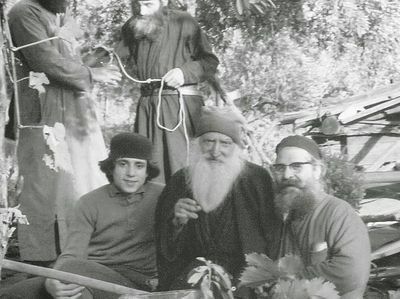 The new book dedicated to Elder Tikhon was published with the blessing of the abbot of Koutloumousiou Monastery Archimandrite Christodoulos, who was the confessor and co-struggler of the great St. Paisios the Athonite. The book has been recommended for distribution by the publishing house of the Russian Orthodox Church. Meanwhile, according to Russian Minister of Justice Alexander Konovalov, Metropolitan Zenobius of Saransk and Mordovia and the head of the Russian Church’s committee for canonization Bishop Pankraty of Troitsk have introduced an initiative to glorify Elder Tikhon as a saint of the Russian Orthodox Church. “We are hoping for Church-wide support for the initiative,” the minister stated. Interest in the person of Fr. Tikhon has grown since the canonization of his most famous disciple St. Paisios the Athonite in 2015. Elder Tikhon was born in 1884 in the Russian Empire, in the village of Novaya Mikhaylovka (in present-day Volgograd). At the age of 24 he arrived to Mt. Athos where he spent the remaining sixty years of his life in unceasing prayer and repentance. He is an example to all of a true Christian and monk who already in his lifetime acquired the Holy Spirit, and his relics have been shown to be incorrupt. After careful study of the reported facts, the Synod unanimously included Schemamonk Paisios the Hagiorite among the ranks of the saints. 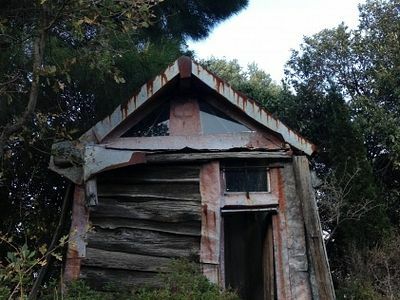 - Only the Ecumenical Patriarchate is responsible to canonize a monk lived in Athos. We must never forget that. - And, since the Athonite monks consider only Silouan as a saint, why should the Ecumanical Patriarch canonize any other Russian monk? - Also, we must never forget that the Church and the Holy Mountain of Athos are not interested about if someone is Greek, Romanian or Russian; they are interested only about if someone is saint. And God will let us know if someone is saint. - So, it is very stupid to say that "in 1,000 years of the presence of Russian monks on Mt. Athos, only one of the Russian ascetics has been glorified by the Ecumenical Patriarchate of Constantinople".